Are you looking for a Long Island Mercedes-Benz tire shop? Mercedes-Benz of Huntington makes finding premium tires for your Mercedes-Benz a breeze. It can be challenging to find the proper tires for your Mercedes-Benz on Long Island with competitive prices, and that is why we are the one-stop tire shop for many throughout the Huntington, Commack, Northport, and East Northport area. To make ordering simple, we offer an online Tire Center where you can enter in your Mercedes-Benz vehicle information, your needs, and more. We offer a wide range of tires for a variety of needs. Whether it be all-season tires, winter tires, or summer tires you need, we can find the right tires for your vehicle. Do you have a new Mercedes-Benz GLE? Or, maybe you have a new Mercedes-Benz GLC or Mercedes-Benz CLA and are looking for tires. Perhaps you are on a quest to find quality tires for a later model Mercedes-Benz. Either way, we are your destination on Long Island. 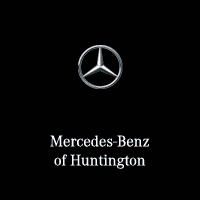 At Mercedes-Benz of Huntington, we want what is best for you. We understand the importance of keeping good tires on your Mercedes-Benz, which is why we have our convenient Tire Center so that all Mercedes-Benz drivers in the Huntington, Commack, East Northport, and Dix Hills areas can be sure to find the correct tires for their Mercedes-Benz. It is important to make sure you keep tires with the correct tread on your vehicle, so that you have the most traction and grip to the road, especially in poor weather conditions. If you have questions or concerns about your tire tread, you can drive over our Tread Spec Machine available in our Service Center, which offers a complete tire & alignment diagnostic for free! If you are in need of new tires, you can then speak to one of our helpful Service Advisors about picking the right tires for your vehicle as well as getting them installed. Be sure to ask about our latest Tire Specials and Promotions! These specials change every month, and there are always exceptional offers on Mercedes-Benz tires at Mercedes-Benz of Huntington.